This year’s task was similar to last year’s, with a few changes to the format. There were no more signature drinks and no milk-based espresso drinks this year. Each team was in charge of their own bar station which served coffee to all the attendees who were scoring them on service, knowledge and the taste of their coffee drinks. Each team showed high levels of knowledge about the coffee they were serving and communicated what they were tasting and how they dialed in their coffees. 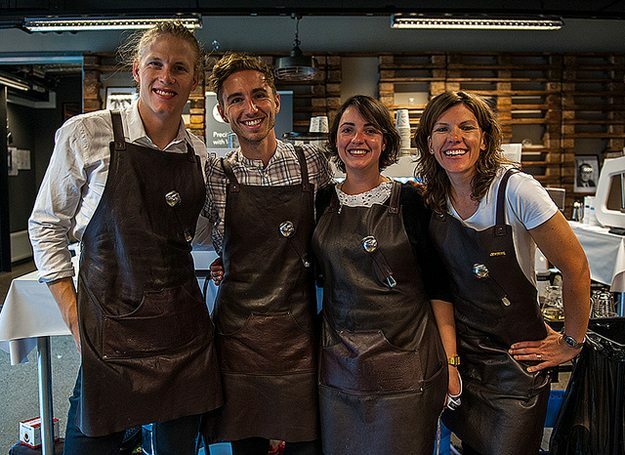 The teams were asked to prepare coffee in three categories: “espresso”, “manual filter” using any brewing method they preferred, and “machine filter” using the Wilfa Svart Presisjon brewer. Sweden won the heart and palate of the secret shoppers with a consistently balanced coffee that stood out. They experimented with flavor profiles to show the range of the coffee. Overall the best brewed coffees, with consistency throughout the whole competition. Service, quality, functionality was perfect. Excellent in conveying their knowledge, valid information about the coffees, as well as the brewing methods.